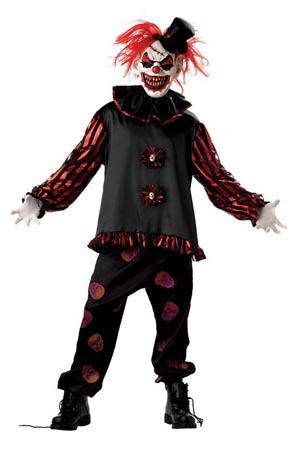 A scary costume on guys for Halloween is not such a common sight as it used to be, with the modern man preferring to use this occasion to show his wit or masculinity, or reference his favorite work of popular culture. Finding the right outfit will more likely have them compare cosplay costumes, as opposed to spending time on making fake blood and mummy wraps. There are a lot of options to go through, some of them using weird and obscure references, while more accessible options fall back to age old symbols of masculinity. Like a lot of things from the 80s, Top Gun seems to be getting a new lease on life from today’s pop culture. Unapologetically badass and brimming with Americana, the cold war action movie serves as an inspiration for this replica flight suit from Leg Avenue. It features all the badges from the movie, and two name tags, one for the protagonist Maverick, the other for his SEO, Goose. Made of 100% Polyester, this piece offers a high level of manufacturing quality, although the aviators and flight boots aren’t included. Otherwise, it looks and feels very much like the real deal, with a loose fit and a front zipper. Not nearly as accurate as the fighter pilot costume, this King Tut King of Egypt piece evokes the image of a pharaoh as taken from popular culture. This makes it flashy and a bit campy, as you’ll get a headpiece, a sizable Eye of Horus amulet, golden armbands, and gold rimmed skirt, together with a richly decorated belt buckle. It’s made out of 100% polyester and the general level of quality seems to be good, judging by the customer comments. It comes in a number of sizes, and it feels comfortable to wear, despite all the flashy regalia. This one’s made to imitate a fantasy knight’s armor and with a lot of shiny bits, a huge dragon emblem on the chest, and a decorated red cape, it’s substantially flashyer than what you can see on medieval reenactors. But this is more of a feature than a bug since historical realism isn’t something you really want in a Halloween costume. It comes with a crown, but you’ll need to purchase your armament separately, although there’s a small half scabbard on the belt to allow it to be carried around. The material’s mostly polyester, with a harder synthetic fiber thrown in for the “armor”. This pirate costume has a lot of elements to it, stripped pants, a 17th-century poet shirt, a Turkish vest, and a sash among them. Some of these can very well be worn around the house if you want to get the most out of your investment, especially since they are reportedly comfortable and nondescript when taken alone. Among the materials used, there’s 100% polyester faux suede, interlock knit fabrics, crushed panne, and gauze, some more wash resistant than others, so this outfit should only be put under a delicate cycle, as per the manufacturer’s specifications. Rubie is the officially licensed manufacturer for Marvel Comics superhero outfits, so there’s a good level of quality to be expected from them, even if accuracy isn’t that much of an issue. Most of the pieces making up this Thor costume are detachable, and there’s a tunic with some ridiculously bulbous arms, pants, the iconic red cape and boot tops. Polyester was mostly used as fabric, and it has quite a deal of thickness to it so that the costume doesn’t look cheap. Thor’s armor is rendered with prints, which may not hold well to high-temperature machine washing. Superhero costumes are no fun unless they really make you look like the character, as opposed to a regular guy wearing the same outfit. This Rubie’s Deadpool jumpsuit goes a long way in doing that, with a lot of padded muscles being used and hashes reminiscent of how a comic book character appears in print. The colors are very bright so it might not stand to machine washing, but there are currently only two sizes available, a medium and an XL, but where it lacks in practicality, this Deadpool piece will make up in cool factor. In good California Costumes fashion, this Robin Hood piece offers a lot of detail and quite a few accessories. There are boot covers, two belts, and fingerless glove gauntlets, together with the iconic green hooded tunic and a vest that’s partially stitched on. You’ll have to get your own medieval leggings and archery equipment, however, but customers are generally pleased with the level of quality this item has to offer. The belts are made of polyurethane, and the rest is mostly the relatively thick polyesters used for this type of costumes. It’s always a challenging feat to find a Halloween costume to impress other party attendees, no matter where you go. Guys can have a tough time finding something to wear that does not spell lack of imagination, and in your hunt, you may discover that there are way too many superhero costumes readily available. If you’re a guy and want to make an appearance the next Halloween, your options should not be limited by what boys and men usually wear for the occasion. A simple online search will provide you with limitless options, but, in that case, you may just end up feeling overwhelmed. The best thing about this type of celebration is that you can go as far out as you want, without being wrong. You can find plenty of cool Halloween costumes for guys online and in brick and mortar stores, but choosing the one that will reflect what you’re trying to convey with your getup may not be exactly easy. This is where we come into play. We want to help you by offering you the results of our research. All these findings will help you narrow down your search, and you will be able to choose just the right costume for the next party. You don’t have to grab just any costume that happens to be available for sale. A little research is always needed, and, if you take into consideration the following criteria we used for choosing the best Halloween costumes for guys, you will be okay, too. You may want to boast about a side of you that people don’t always have the chance to see using a Halloween party as the perfect excuse. Some guys prefer wearing the comfortable clothes they are accustomed to, and just give them a little touch of personality by including a cool message, one or two accessories, and anything else along those lines. However, if you are picking a full-fledged costume, you will discover that you have a good chance of exhibiting your personality like never before. Whether you want to channel your inner Hulk, or just wear a Minecraft t-shirt, you will be able to show the world what you’re made of. Of course, as mentioned earlier, you should not sacrifice comfort either way. Your Halloween costume should be able to reflect your personality, but if you end up sweating a lot or feeling cramped in your suit, you will not going to have fun, as you planned. Bear such aspects in mind when you go shopping for a new Halloween costume. A lot of people are thinking about choosing a cosplay outfit when they pick their Halloween costumes, but you don’t have to limit yourself to such choices. Of course, if you like dressing up like a character from a video game, nothing can stop you, but we are here to present you with some other possibilities that you might not have taken into account. In case you like animals, dressing up like one will be an excellent choice. The best part about Halloween parties is that you can be anything, even food. Dress up as your favorite dessert, and you will have others talk about your costume, for sure. Don’t forget that you can use your skin as a canvas. Besides wearing a costume, paint your hands, face and any patch of skin that goes uncovered to create the best costume ever. As long as you manage to keep in character, you will surely make a lasting impression. Some things work better for some guys, while others are a better pick for other guys. For instance, if you look for Halloween costumes for guys with long hair, you will find that you may pose like a rock star or a biker with ease. On the other hand, superhero get-ups may not be just as good, since we all know that Clark Kent sports that preppy look no matter if he is a clumsy journalist in training or a guy bent on saving the world. Do not neglect the way your own looks will have an impact on the choice of your costume. A taller man will be able to wear certain getups, like Groot from Guardians of the Galaxy, but a shorter one may find sporting Rocket’s ready-to-rumble outfit, a much better choice. After all, while you may want to trigger a few laughs, you don’t want those to be at your expense. The same thing goes for your build. If you are already a strong guy, no one can hold it against you if you want to be Captain America. However, if you are usually a funny guy, you can go just the other way around, and choose something that you could not be in a thousand years. Guys like that are usually the soul of a party, and you won’t be far off should you decide to go down this route. 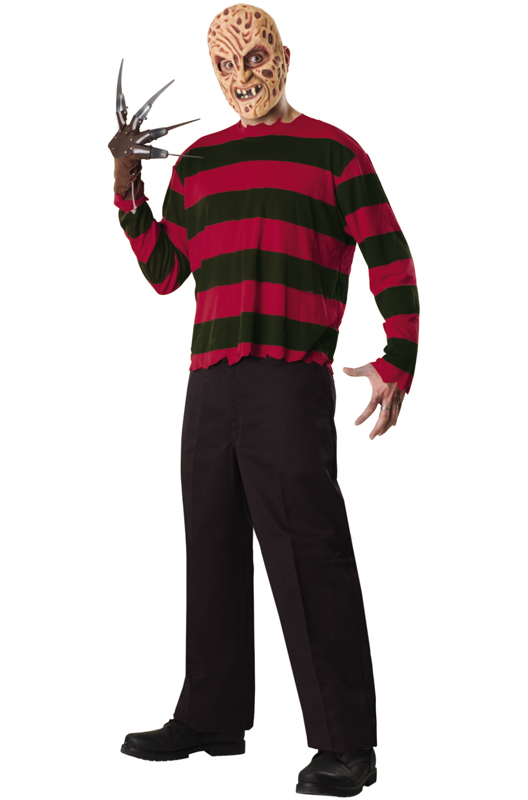 The age of the person wearing the costume can have an important impact on your choice. Good Halloween costumes for teenage guys can include characters from video games, anime, and movies. At the same time, if you are already past that age, you can go for something minimalistic, like a white t-shirt having a 404 error message that says ‘Halloween costume not found’. The whole point of wearing a Halloween costume is to have fun while doing so. Wearing something that is age-appropriate is part of playing your part well. Don’t forget that imagination is the limit and you can wear anything you like, and even make some mix and match to create something that will stand out. Depending on your age, your personality and your interests, you can find something that will match your preferences. It is never too early to start looking for a Halloween costume that will make an impression. Just bear the above-mentioned aspects in mind, and you will not go wrong.